FRAMED PRINT. 22x18 inch (56x46cm) Framed Print with Black Satin with Off-White Digital Mat. Artwork depicting SPIRIT PHOTO MUMLER. 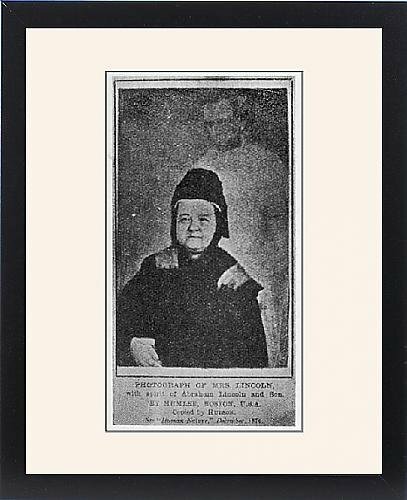 Photo by William Mumler, showing Mrs Lincoln with the spirit of her husband, Abraham Lincoln. Professionally made to order in the USA. Artwork Description... Photo by William Mumler, showing Mrs Lincoln with the spirit of her husband, Abraham Lincoln.